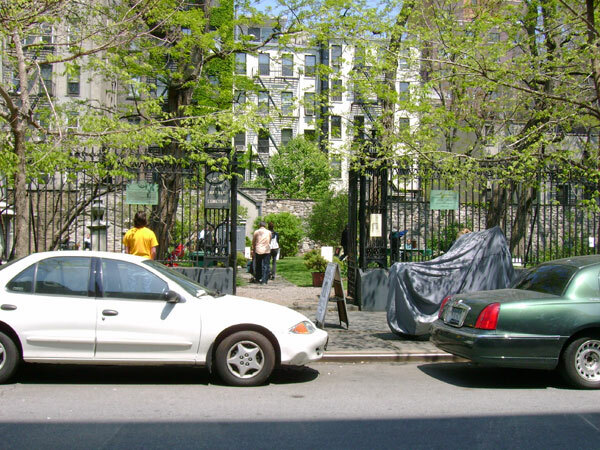 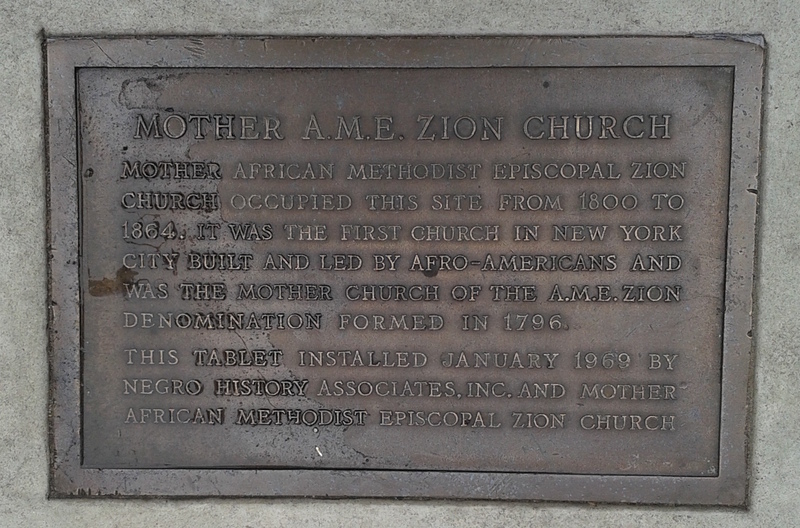 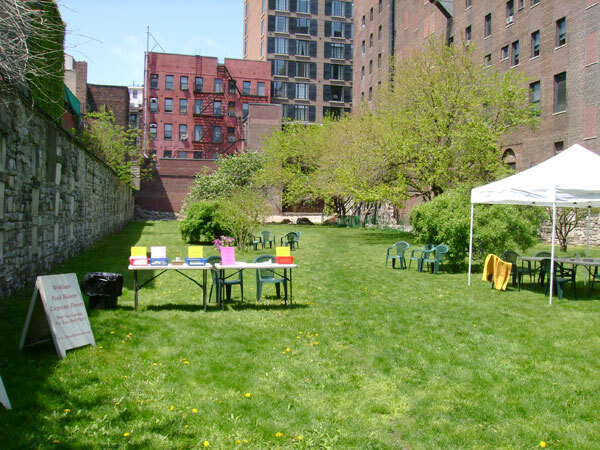 The New York Marble Cemetery and New York City Marble Cemetery are the city’s two oldest non-sectarian cemeteries. 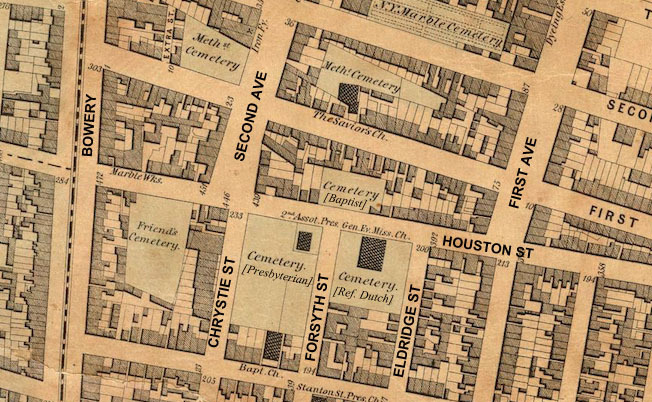 Perpetually confused with one another since they were created in the early 1830s, these private cemeteries were formed by businessmen seeking to provide alternatives to churchyard and public graveyard interments after burials were prohibited in lower Manhattan by city ordinances in the 1820s. 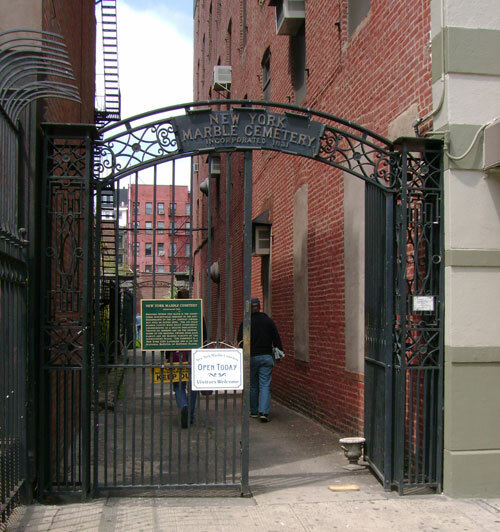 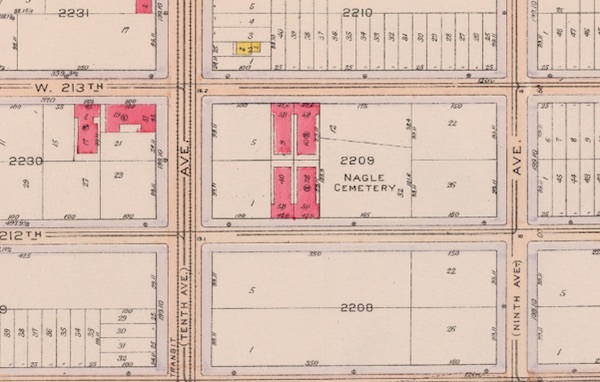 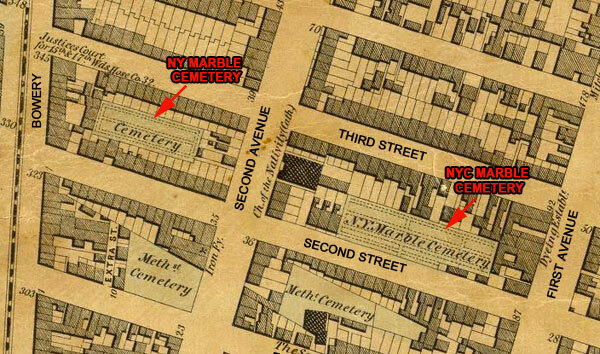 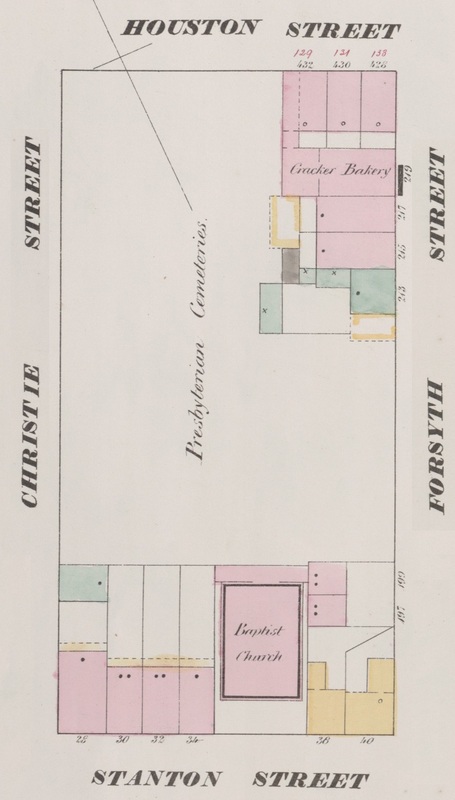 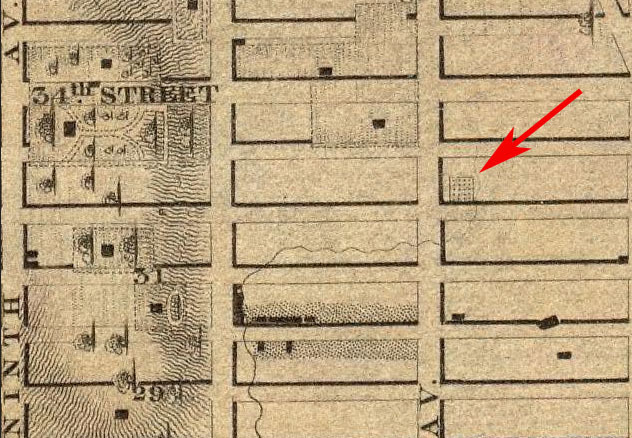 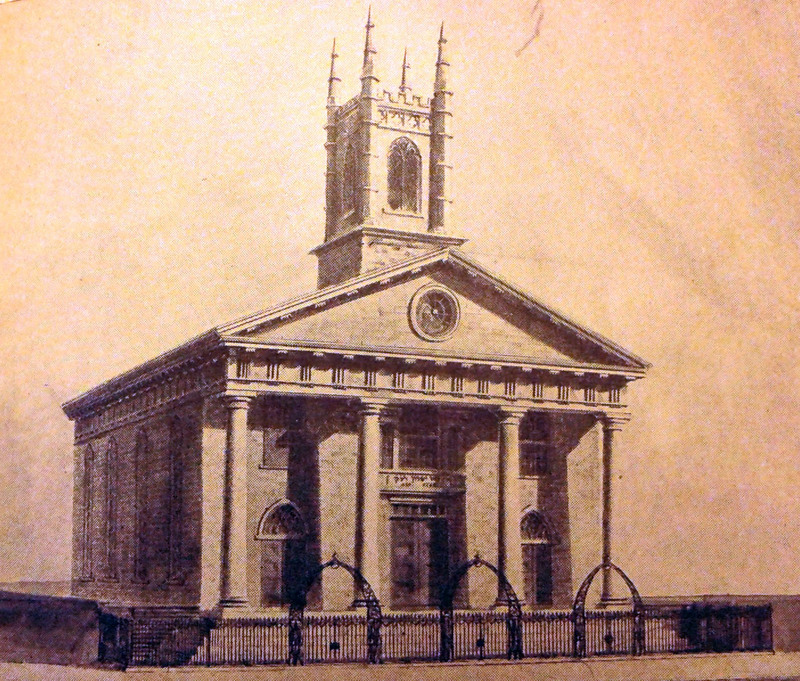 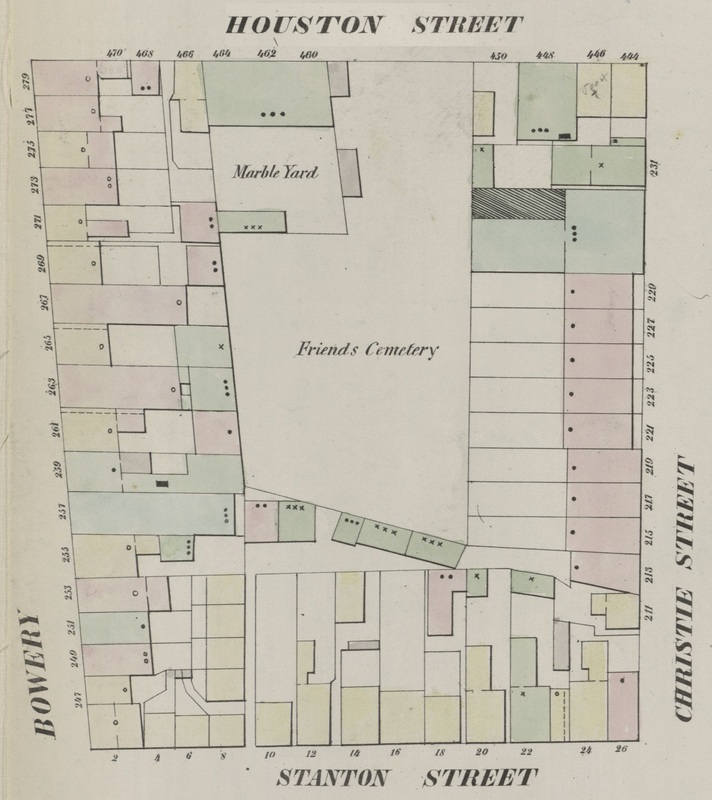 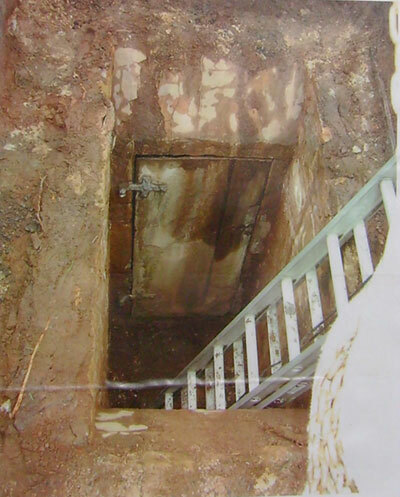 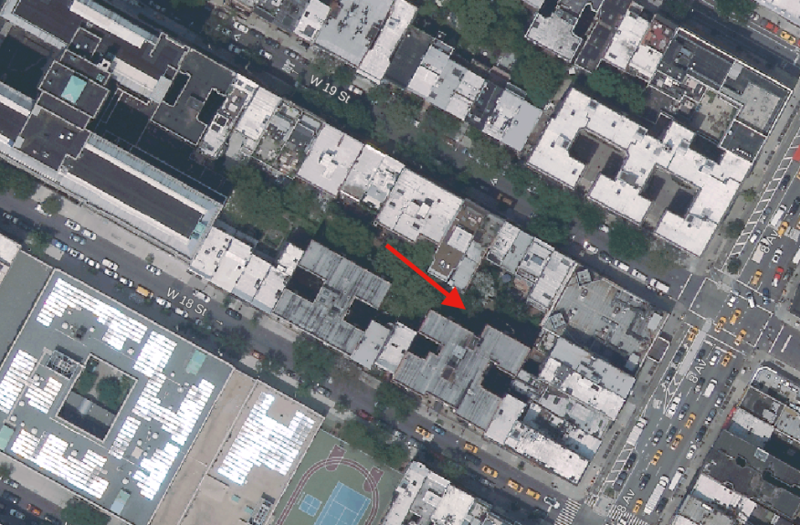 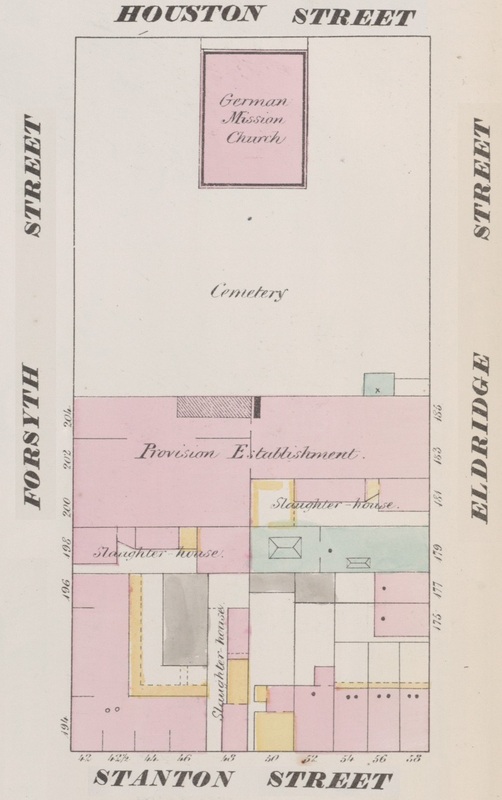 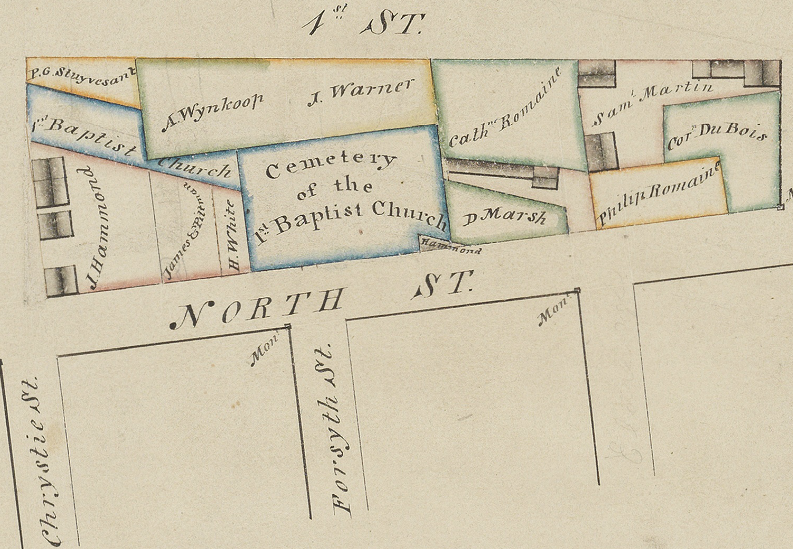 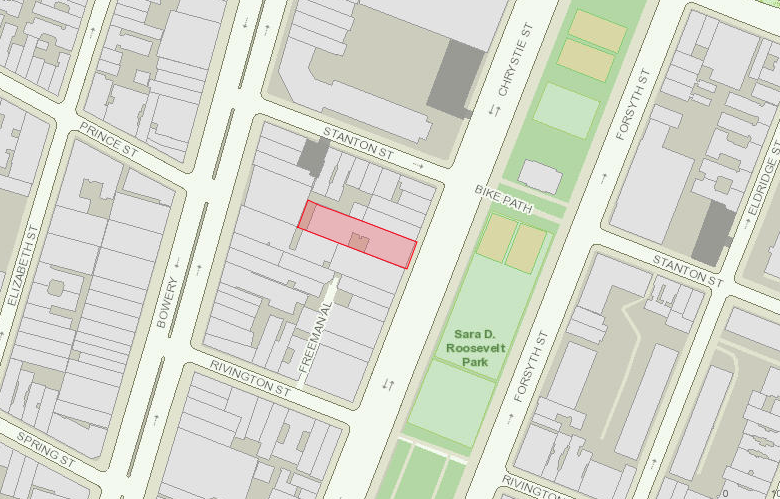 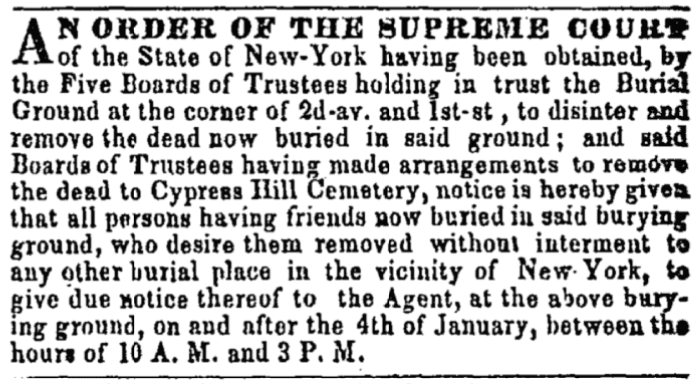 Featuring underground vaults that are the size of small rooms and made of Tuckahoe marble, the two Marble cemeteries were built in the area of Second Avenue between Second and Third streets in the East Village, a neighborhood that developers hoped would soon become a fashionable residential locale. 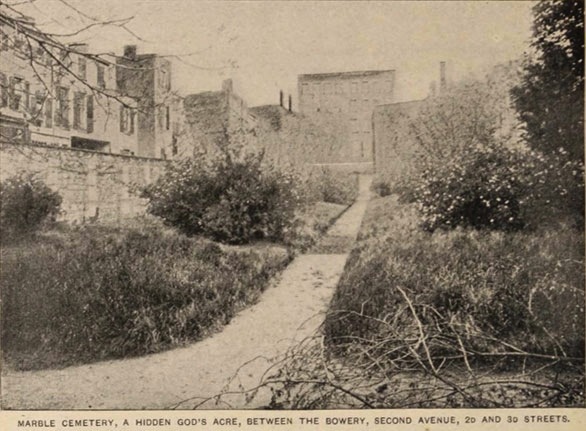 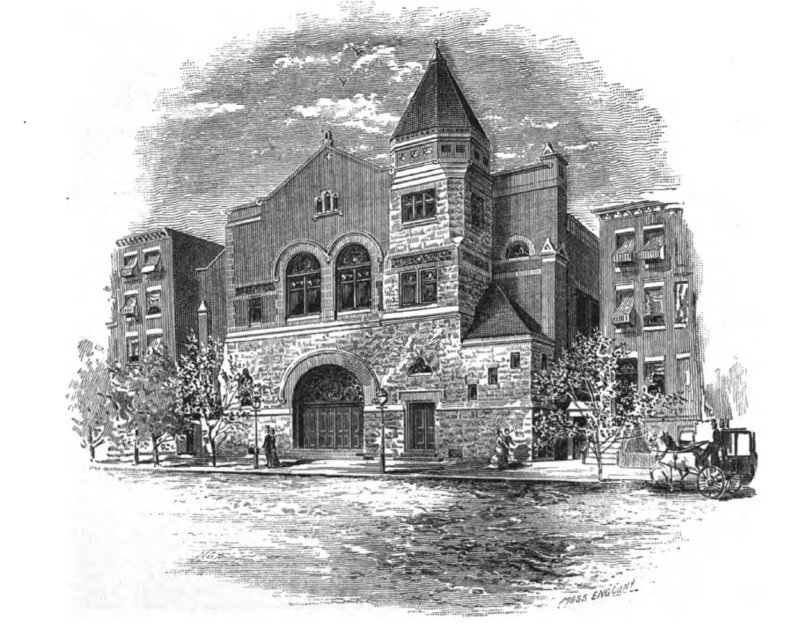 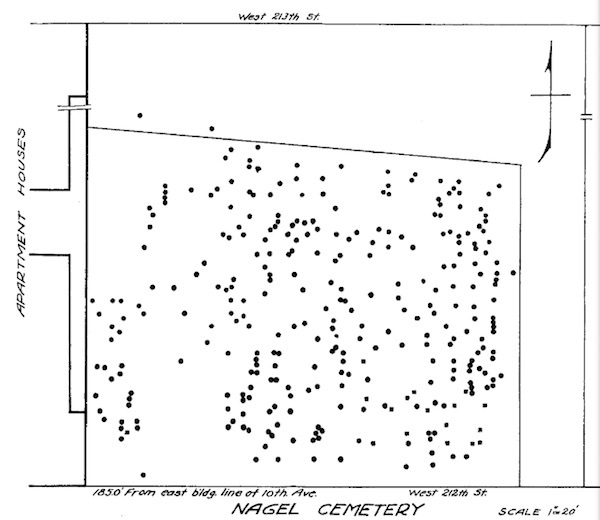 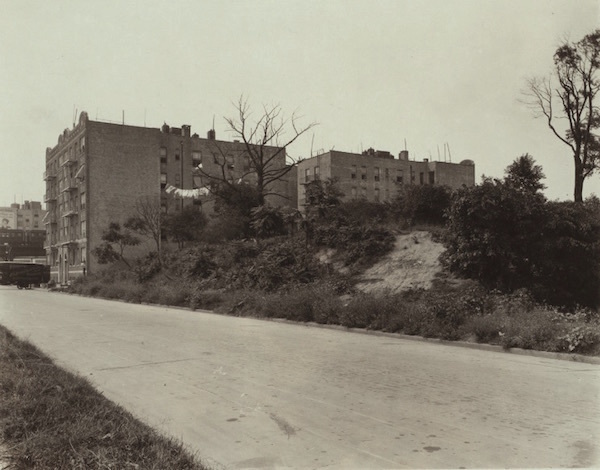 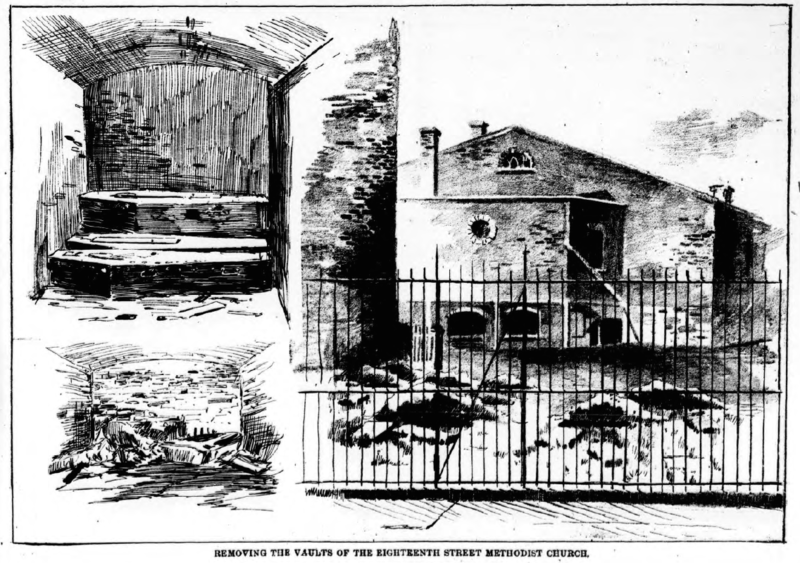 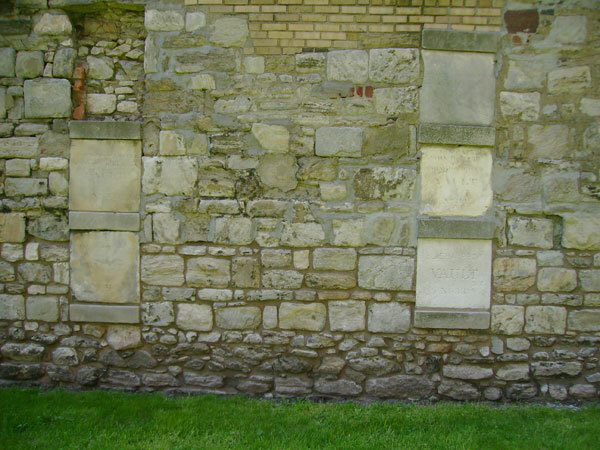 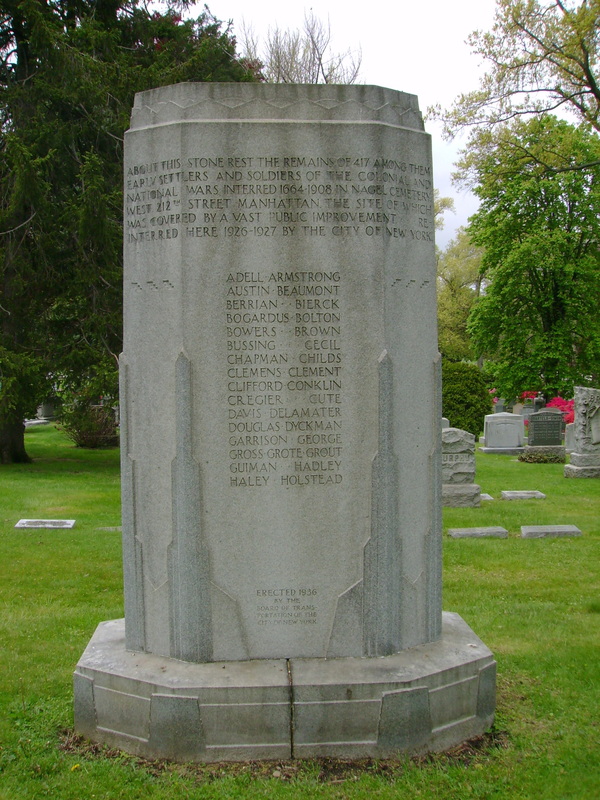 The two cemeteries were initially popular and members of a number of distinguished families were entombed there; however, by the 1870s rural cemeteries in Brooklyn, Queens, and the Bronx were preferred and the Marble cemeteries primarily were used as storage vaults for bodies awaiting burial at these places. 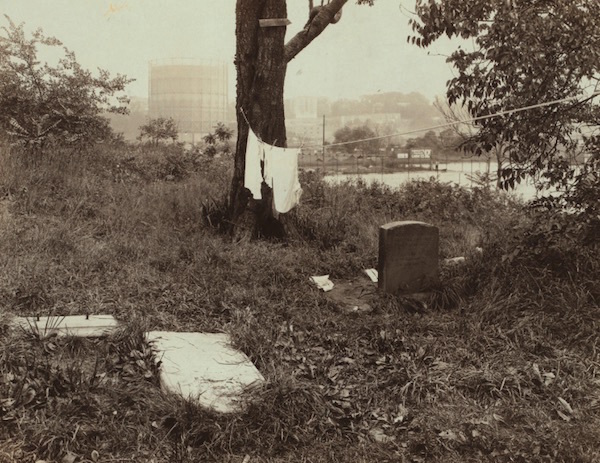 Sporadic entombments continued in the Marble cemeteries until the 1930s; both were designated NYC Landmarks in 1969 and now are open to the public on special occasions. 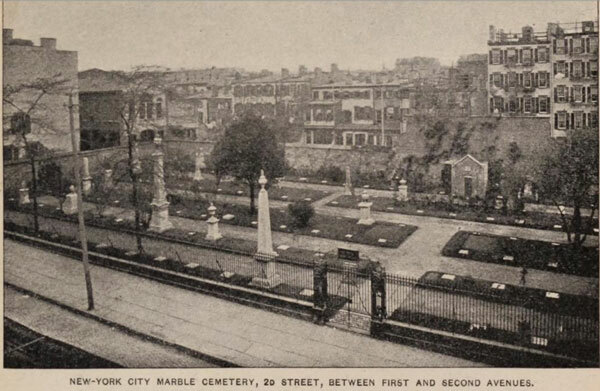 View more photos of the New York Marble Cemetery. 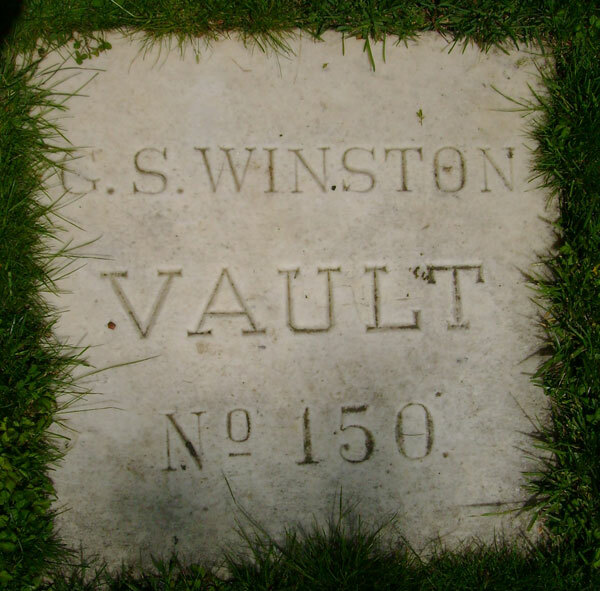 View of a vault door looking down from ground level (New York City Marble Cemetery). 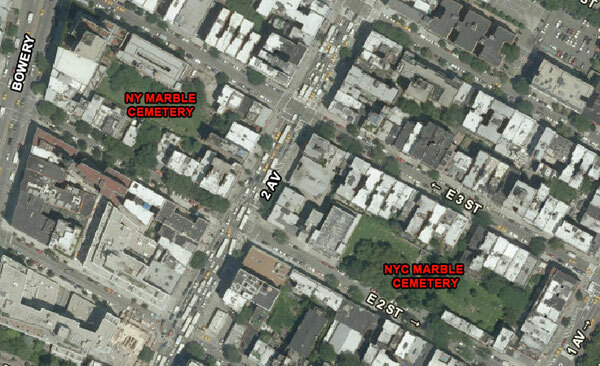 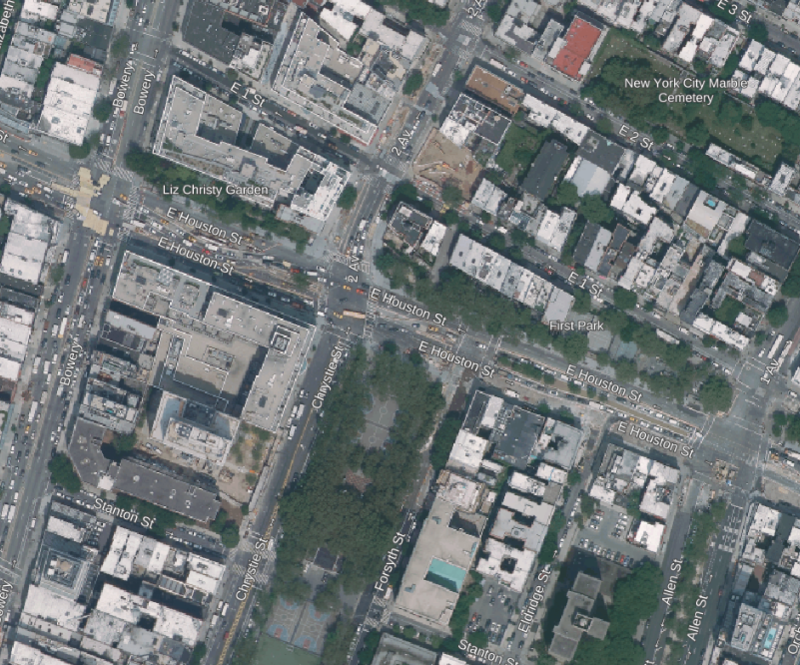 View more photos of the New York City Marble Cemetery. 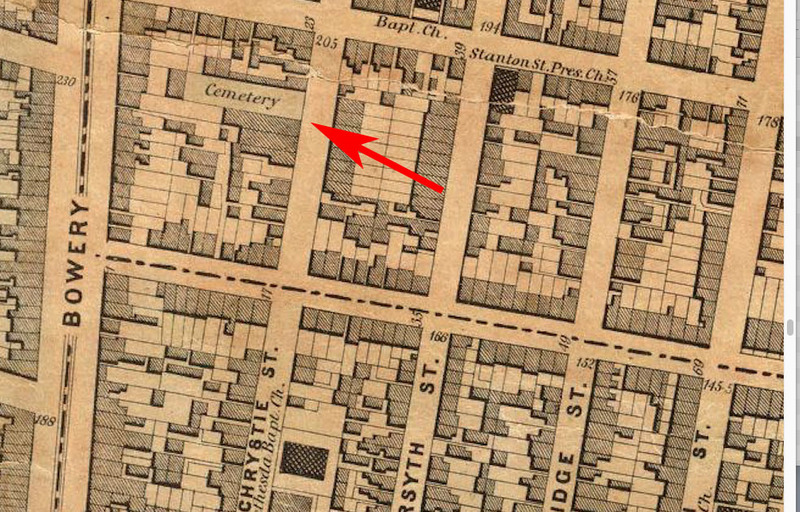 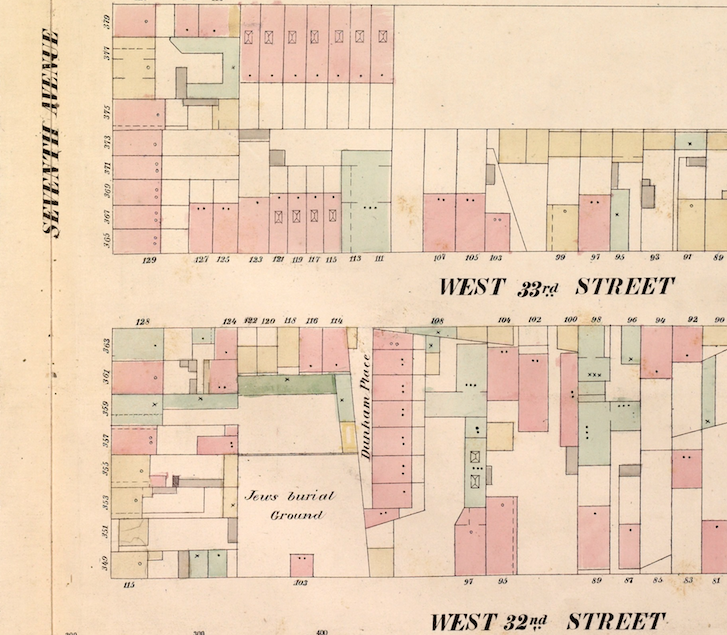 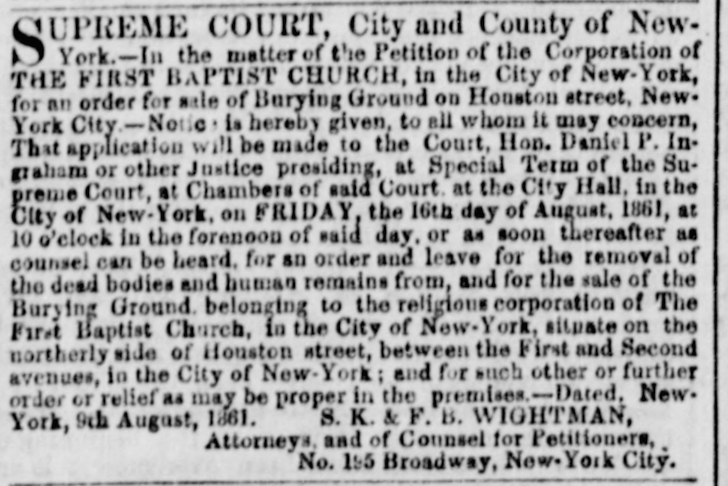 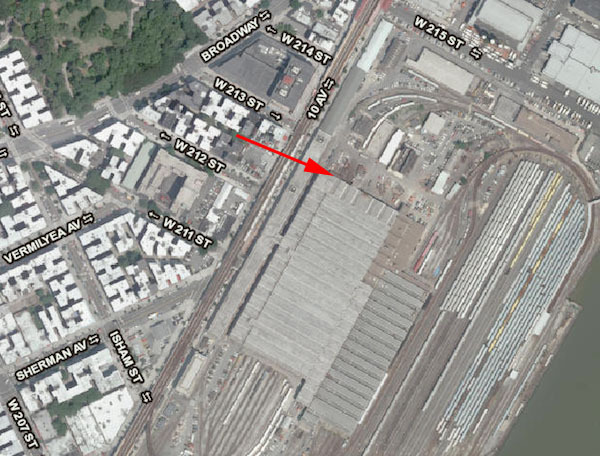 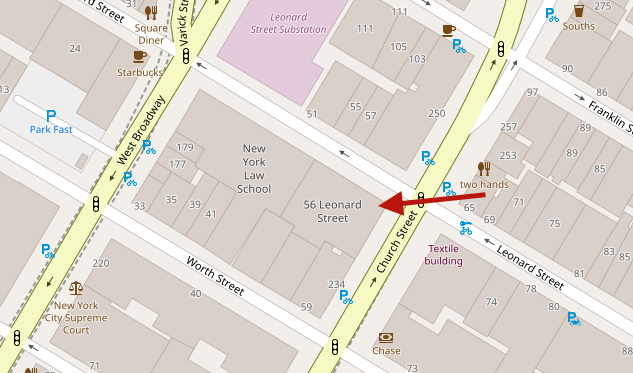 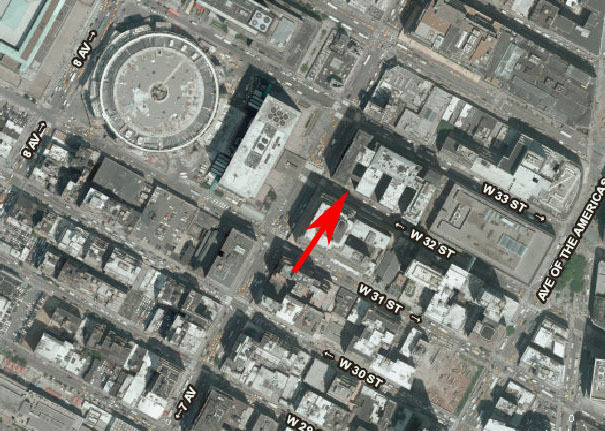 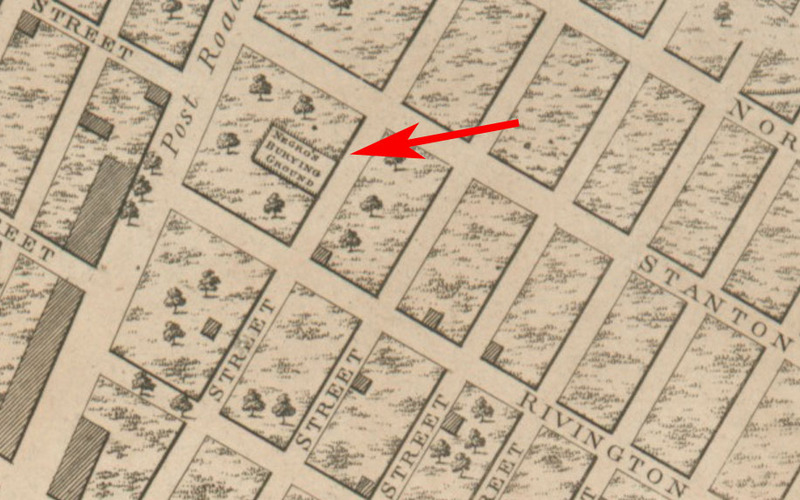 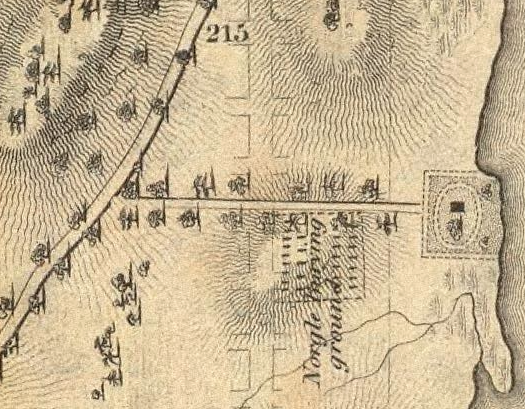 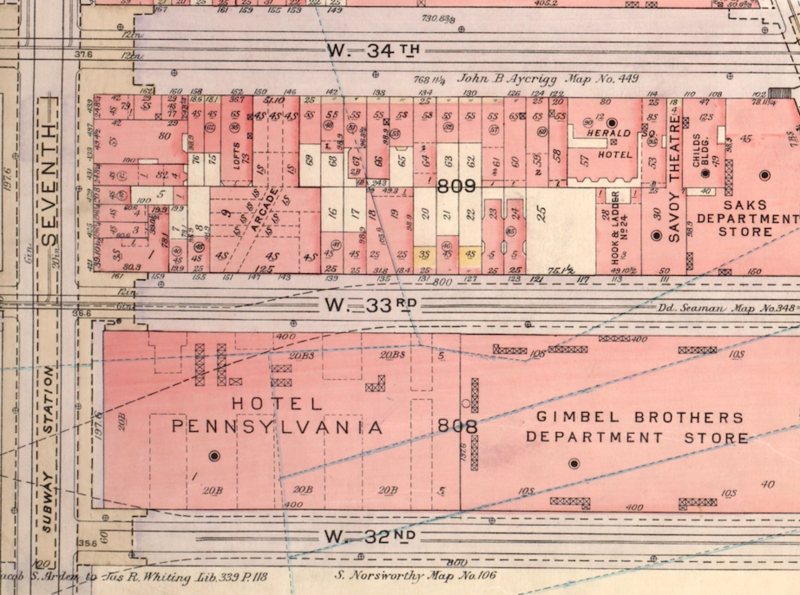 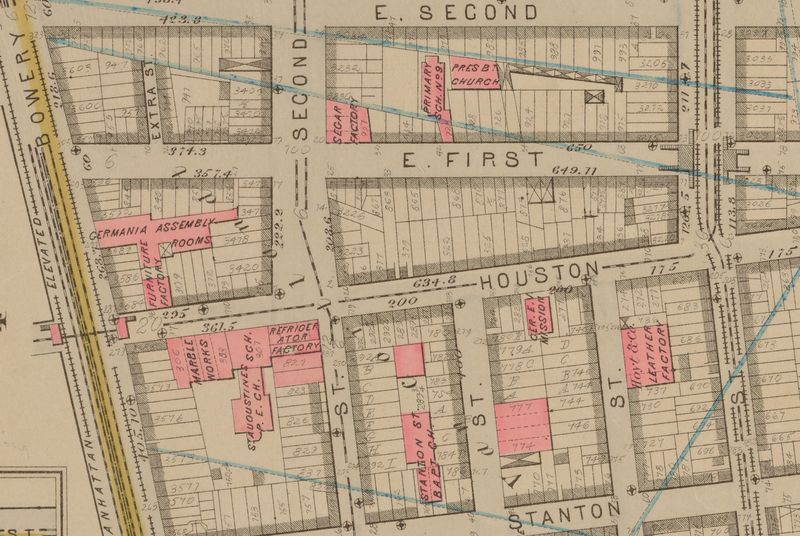 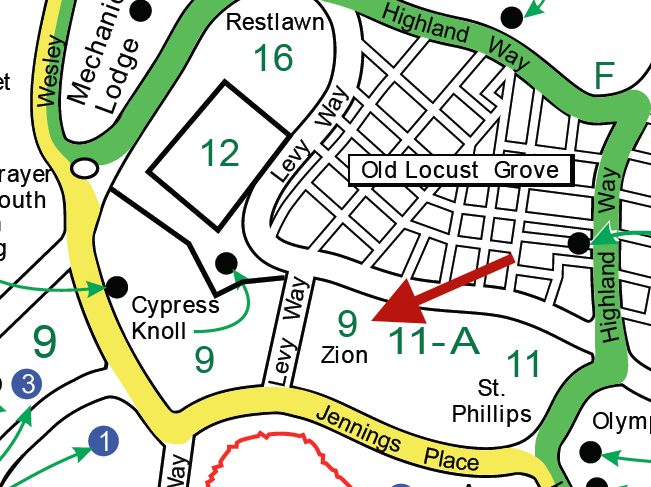 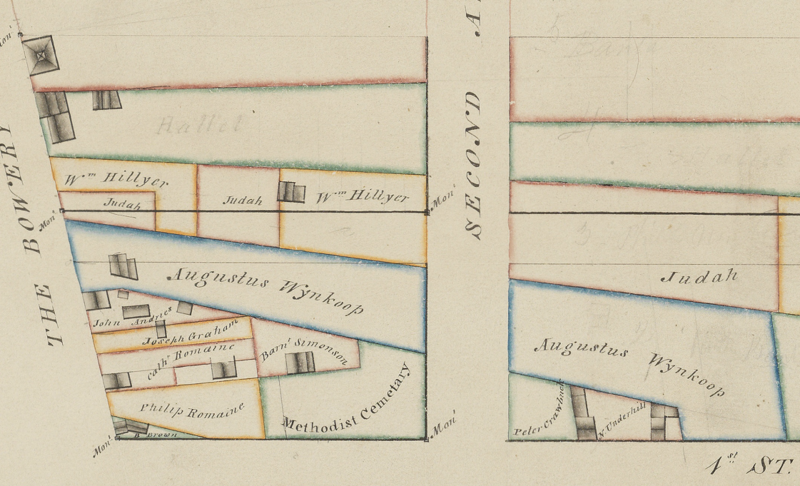 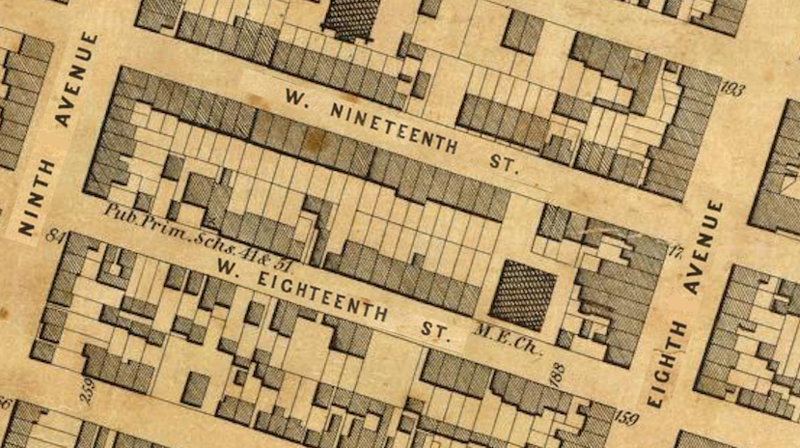 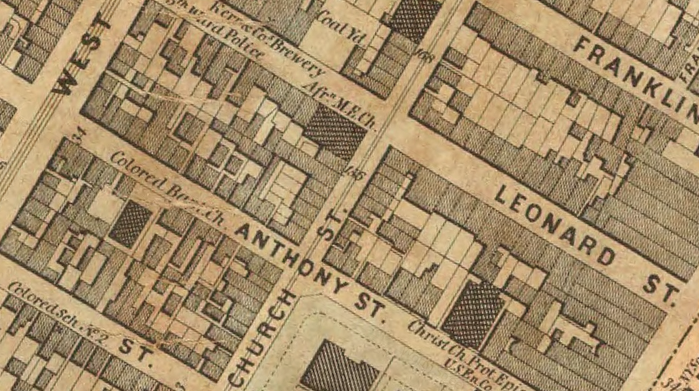 Sources: The Last Great Necessity: Cemeteries in American History (D.C. Sloan 1991), 40-42; King’s 1893 Handbook of New York City, 506, 511; Dripps’ 1852 Map of the City of New-York extending northward to Fiftieth St; NYCityMap; New York Marble Cemetery; New York City Marble Cemetery.